Buying property is an important decision; it not only requires investment of your hard earned money but also calls for a lot of time engagement. As buying an accommodation may incur monetary difficulties, it is better to chart out all possible risks from the property. Gurgaon is emerging as the IT hub of Delhi-NCR and is seen as a budding market for real estate marketers and investors or the ones hoping to lead their lives a little more urbanized and upbeat. Looking at the upsurge of businesses and markets in the metro city, it is obvious that the geography in and around the area will grow rapidly in coming years. Therefore, there are multiple housing developments going on in the surrounding areas. Since, the real estate prices are a little high as compared to the houses in surrounding areas (i.e. Faridabad, Mehrauli, Sohna Road, Bhiwadi), these areas are highly recommended and completely wise to invest in a property around or near Gurgaon as the prices will become beyond reach in coming times as the place shall grow to become the metro hotspot of NCR. Now, let’s understand the fact which often tends to take a backseat while we try and reach a decision on where to invest. The place you invest in is not going to be just an investment; it can be your home to live. Considering these facts, why should one hesitate from investing in the above areas that promise a comfortable lifestyle and future growth? Buying home is not a small decision; therefore it is required with certain things to keep in mind while buying a flat. Here is a checklist that’ll help you save on the chaos which might happen in the later years. Undoubtedly, the prices of residential property in Gurgaon have skyrocketed, but if you see the nearby areas they are less than of half price from the city. It is worth every penny if you know and understand the geography around Gurgaon. It is a wise option to look in a property of place which is developing. This not only saves the money also increase the chance of price hike in future. What seems to lure you at one point in time, might not interest you ten years from now. It is better to make an investment that will not make you regret anytime - sooner or later. Also, brokers do offer schemes that indirectly might have a catch. It is advised to refrain from deviations from the upper cap you set for yourself from the allowance. Investment is a onetime deal. Take your time and do a complete background research. There are many parameters that come into play in the flat buying procedure like surroundings, neighbourhood, quality of construction, builder reliability, past projects and many more. Do not hesitate in asking. A good deal is always transparent and beneficial for both ends. Now a day’s some builders provide trial stay facility that can be beneficial option. You might decide to invest for yourself, or maybe have a nuclear family or a joint one. 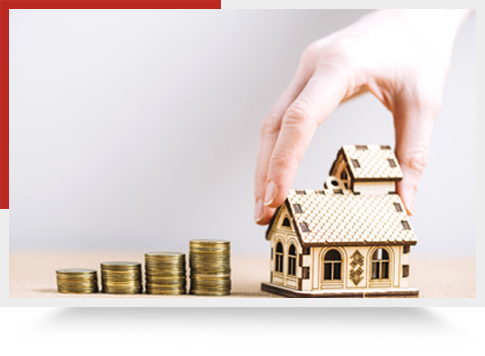 When you are looking for a house to buy, the size of the property matters in your budget to buy a 1 BHK within the city will not be as wise as buying a 3BHK in the same budget in nearby areas. Property is a long time investment and therefore shall be in compliance with your future plans. Buy a property you can own now, and not later - Like every industry, property always has a scope of expansion too. Suit yourself; combine your resources with the best of what you can own. Get the best of both worlds while not missing onto any aspect. Take the legal round around - Introduce your lawyer to the property and the builder. It is essential to have the law backing you up. The lawyer will guide you through the legal procedures and the documents to check before buying a flat and documents to be verified before buying a flat. Buying property in Bhiwadi is no more a cakewalk when we know and hear about the number of fraud cases. When there are more than a countable number of flats for sale near Gurgaon, it opens doors for everybody to possess one. With the growing pace and the lifestyle is seeing a drastic change. Having a futuristic vision when you invest in a property is something that will help you buy not just a dream home but a promising lifestyle. 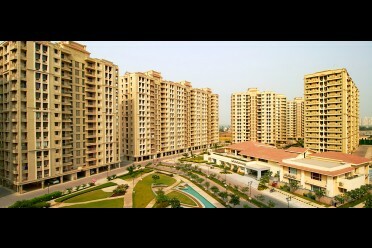 Living in Gurgaon on rent or Buying an apartment in Bhiwadi ?